Antique Gold Metal Wall Mounted Stag Head Wall mounted replica stag head in gold with black distressing, this really does make for stunning wall art. 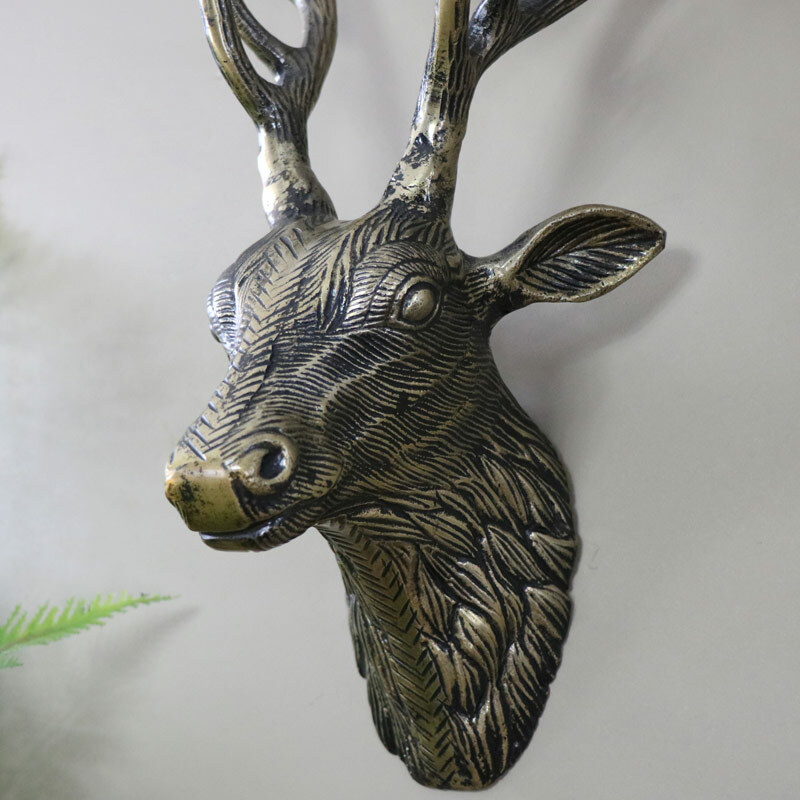 Adding this wall mounted stags head to your home is the perfect way for creating a focal point within your room. Wall mounted replica stag head in gold with black distressing, this really does make for stunning wall art. 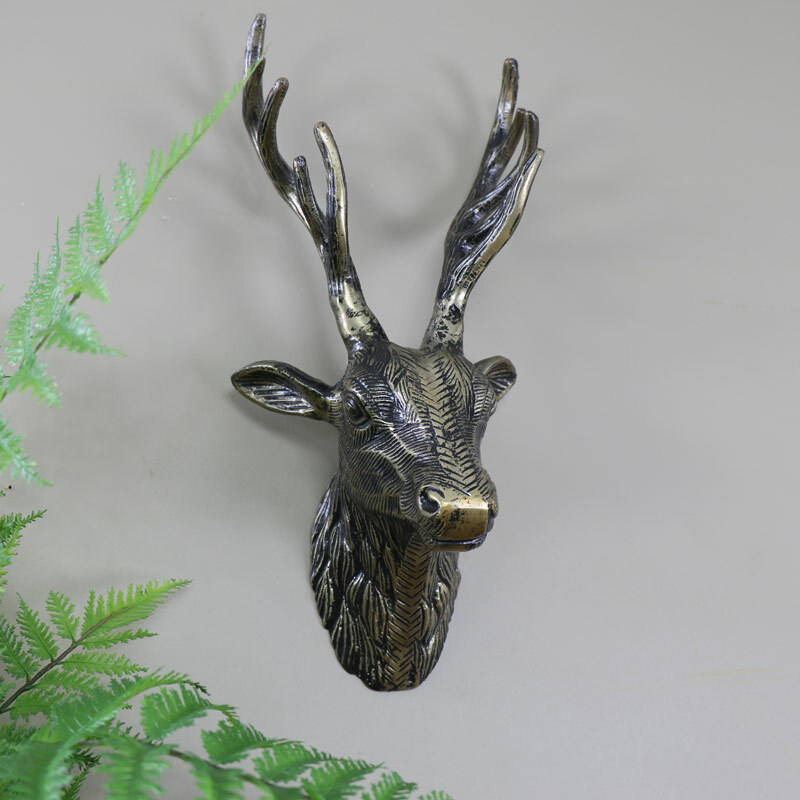 Adding this wall mounted stags head to your home is the perfect way for creating a focal point within your room. 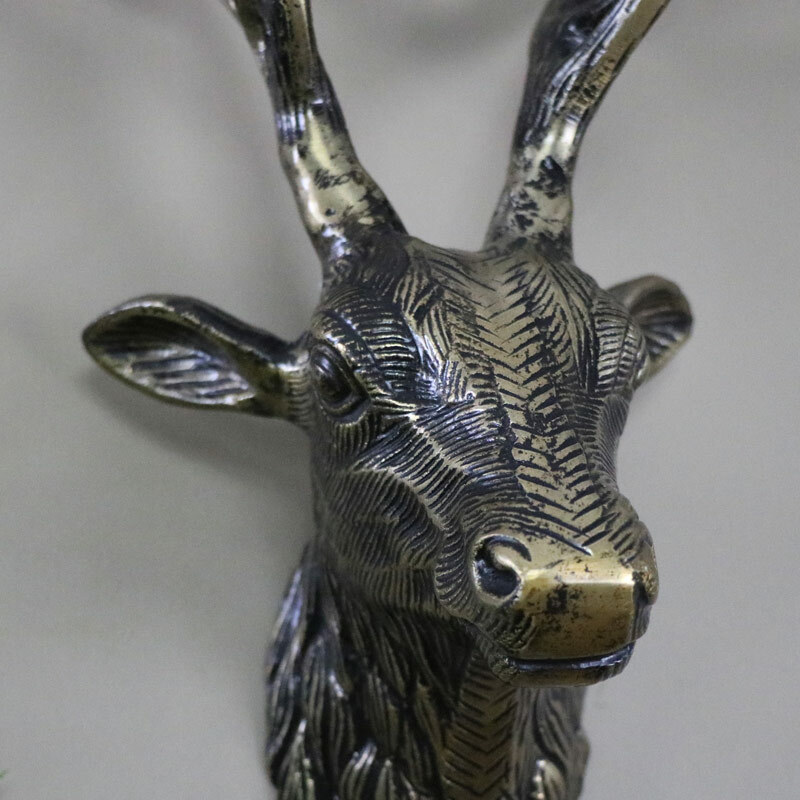 With carved detailing on the fur and antlers that makes the features stand out, this stags head would fit perfectly with both modern and tradition interior. this item is assembled, the only thing you need to do is attach these to the attach this to the wall. the colour of this is back and has a gold distressed finish. sadly we don't have anything else in this range. this item would be around the 3kg.